We hit a few setbacks with this challenge. In the end neither of us was really able to get out to meet the challenge to it’s fullest possibilities, so it became more about pressing on with what we had available. The theme for this month was “low light” – Dave’ suggestion, and a damn good one at that. So good in fact that I think we’ll come back to it soon and do it properly. 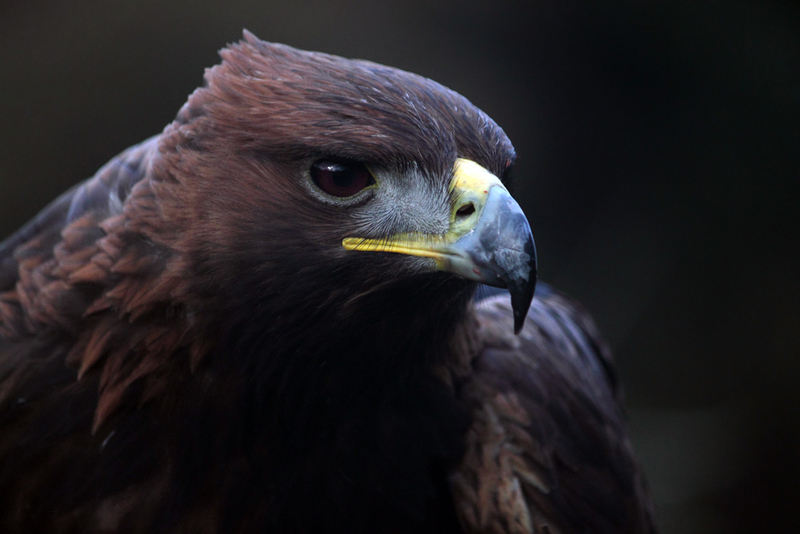 Dave took one of his days off to visit a bird sanctuary that housed some Golden Eagles. A small group of photographers was allowed to come in and meet the birds, take some photos and see them fly. Dave took a tonne of images, almost all of which are amazing, but this was my favourite. For me, I headed out around sunset one afternoon to this amazing little spot called Rocky Saugeen. 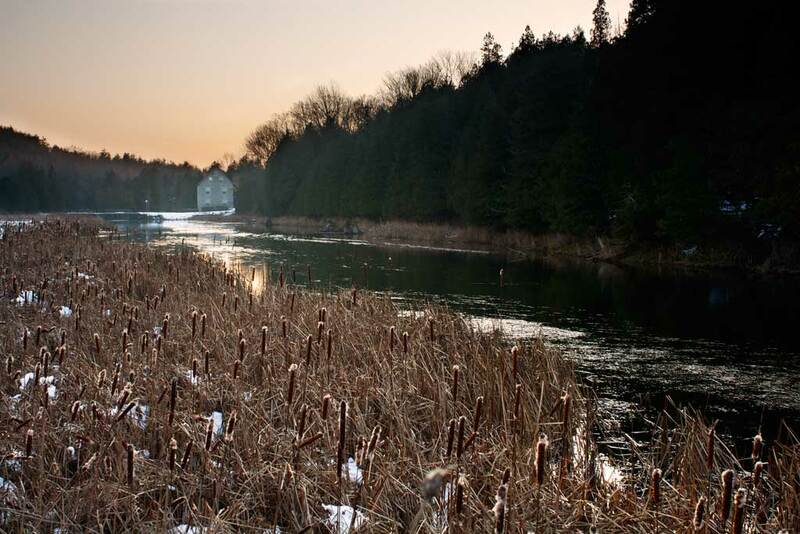 The Saugeen river runs along here, and someone built a mill on the river just down from the highway. The location is nearly impossible to filter, so I decided to make this my first test of blending exposures in Photoshop (yep, I finally broke down and bought the sucker). I’m not totally in love with how my blend worked, but for a first attempt I think it was okay. I’ll definitely be back to try again! This entry was posted in Birds, Landscapes, Monthly photo challenge. Bookmark the permalink.